CBA internships allow students to gain practical experiences in their area(s) of concentration and prepare for the future while working in a professional, flexible environment. 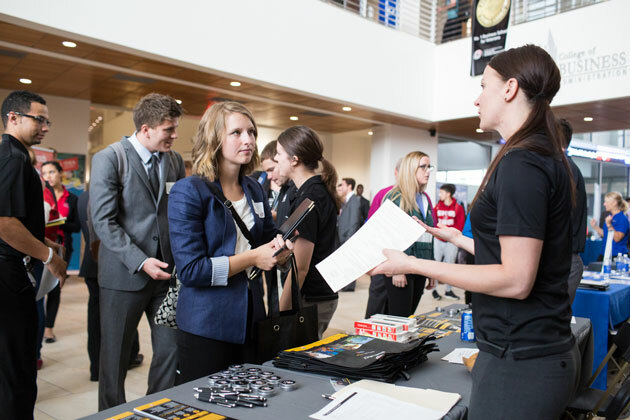 Our internship program partners with the Career Center at CBA and the UNO Academic and Career Development Center to help connect students with internships that will enrich their educational experience and prepare them for their future careers. You’ll find available, for-credit internships listed on Handshake. Check out what’s available now — simply build your profile, search for internships and start applying. When you accept an offer, schedule an appointment with your internship advisor to get it approved for credit. From Fortune 500 firms to locally owned businesses, most CBA students hold at least one internship before graduating.